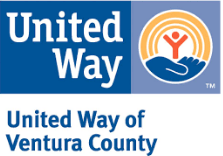 Giving cash, writing a check, or authorizing a charge to your credit card can put your money to work right away helping people in our community through United Way programs and provide you with an income tax deduction. You can contribute stock that has appreciated in value to United Way, receive a tax deduction for the full market value of the stock, and eliminate capital gain taxes you would have incurred if you sold the stock. You must have held stocks at least one year to avoid capital gains taxes. If you own stock or other investments that have decreased in value, you could sell them and donate the proceeds. You may be able to deduct the loss from other income, for additional tax savings. Together, the two deductions could actually be worth more than the current value of the investment. Donating retirement assets is one of the best ways to make a charitable gift and avoid costly income and estate taxes for your heirs. Naming United Way as a beneficiary (or contingent beneficiary after the death of your spouse) of all or a specified percentage of your 401(k) or other retirement plan assets can save your estate both income and federal estate taxes. You also may designate United Way as the sole, partial, or contingent beneficiary of a life insurance policy – either a new policy or one you and your family no longer require.